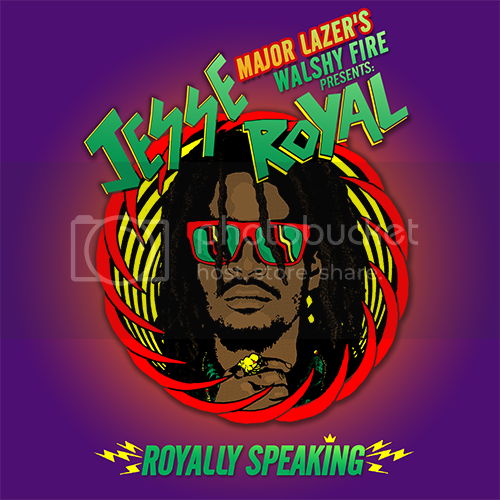 Jesse Royal is equal parts revival and reinterpretation on Royally Speaking, a new hour-long mix released through Major Lazer and affiliate Walshy Fire. The St. James-born, Kingston-raised singer rides skanks and riddims as often as he interpolates American hip-hop. It's 5pm, which means it's almost quittin' time for you working humans. Conveniently, Walshy Fire of Major Lazer just blessed us with this tape from Jesse Royal for you to smoke weed to tonight when you get off work. Coming in extra hot to supplement today’s Mixtape Mondays comes the big combination from LargeUp extended family Jesse Royal and Mr. Walshy Fire. We’ve been steadily seeing Jesse rise as our Top Artist to Watch in 2014, and around this time last year went in for anin-depth interview to give people and idea of what’s to come from the singer. Straight from the hills of Maroon Town, Jesse Royal has a talent that makes him unique in today’s reggae climate, his talent of writing lyrics and delivering the lyrics in a manner that speaks to you, has captured the attention of the world.